A transmission yoke slides onto the output shaft coming from the transmission or transfer case. The output shaft has a circular seal surrounding it which will ride on the transmission yoke. ...measure from the Tip of the Output Shaft to the Center of the U-joint in the Pinion Yoke. See picture below. ......slide the transmission yoke onto the output shaft until in bottoms out, pull it back 1 inch to 1 1/2 inches, and measure from the Center of U-Joint to Flange Face. See picture below. 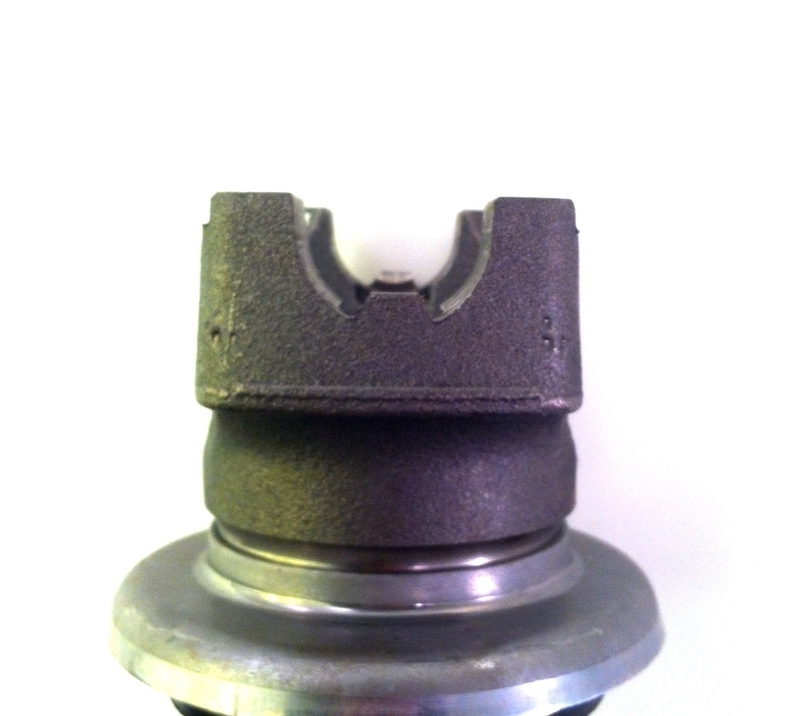 ...bolt/hold the flange flush against the rear disk and measure from the Tip of the Output Shaft to Center of U-Joint. See picture below. ...measure from the Tip of the Output Shaft to Flange Face. See picture below. ...bolt/hold the flange flush in place and measure from the Center of U-Joint to Flange Face. It doesn't matter whether you have the front or rear flange; the measurement will be the same. See picture below. 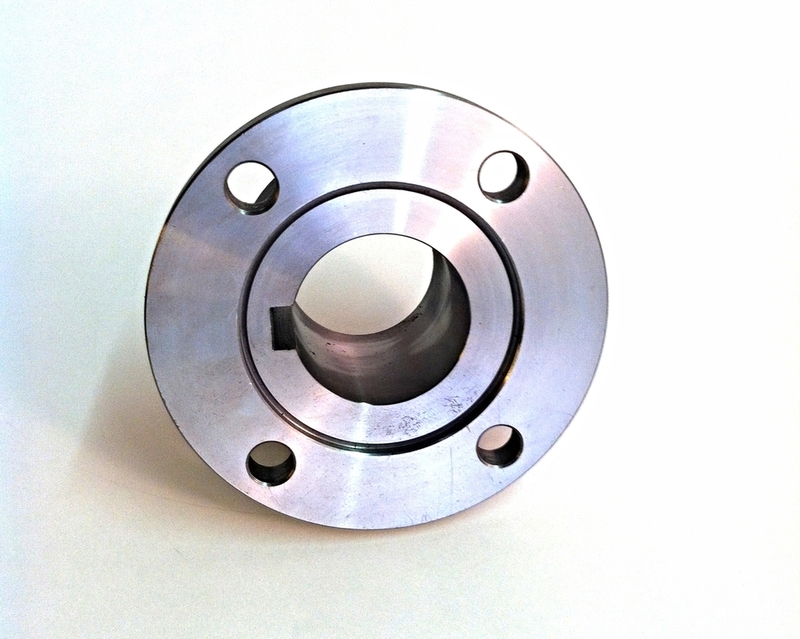 ...measure from Flange Face to Flange Face. See picture below. ...measure from Flange Face to Center of U-Joint. See picture below.